One Guardian over on the Destiny subreddit believes they have figured out when Bungie is going to start dropping details about the next Destiny 2 DLC, The Black Armoury. This Guardian, ZeuS_XII, theorises that Mara Sov is has been hinting at the arrival of a new NPC in the Destiny universe, one who they believe will be related to the Black Armoury DLC. The evidence for this has been piling up over the weeks following Forsaken’s launch. Mara Sov, who you can visit in the Dreaming City sitting on her throne, has been saying different things every third week of the city’s cycle. If you’re not aware, the city has cycles, and every third week is the darkest, a Taken invasion of the city. In the first instance Mara Sov was simply sitting on her throne. There’s no reason for hints about new DLC to be appearing at this point because the Dreaming City is still very fresh and new, and should be the focus of all Guardians. 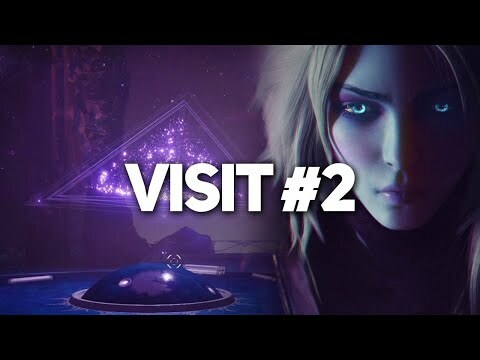 The second time this cycle came around, Mara Sov was standing by the ledge of the platform. Here she was looking at a familiar holographic shape, a ship of the Darkness. These ships were shown in the intro to Destiny 2, and at the end of the Red War storyline, when the Traveller explodes and sends out a wave of Light into the universe. The third time this cycle has occurred something strange came out of Mara Sov’s mouth. She was in her throne once again, now talking to the Emissary of the Nine. She said something about her next guest disliking Guardians. The next Taken infested week, the third cycle of the city, is on the 27th of November, which also marks the end of Season 4 in Destiny 2. This is the perfect time for Bungie to reveal any new content coming in Season 5, because they’ll have plenty of time for Guardians to get excited before it releases. Forsaken launched with Season 4, and has so far been fantastic. Now this Guardian believes that with the end of Season 4 the Black Armoury DLC will have further details revealed, and an announcement saying that it’s going to release on the day Season 5 launched. This Guardian now thinks that the next time we visit Mara Sov she’ll start talking about the Black Armoury DLC, maybe even the mysterious NPC known as Gaunt, an Exo who guards the Black Armoury. The release of the DLC, according to this Guardian, would come the following week on the 4th of December. Let us know what you think about this incredible fan theory in the comments.